The sky is falling, the sea is boiling, and the miner bird has stopped its song. Metaphorically. Because something very strange is happening. The stars are vibrating in a way they just should not. In the attic of an old house in south London, I found my childhood guitar. Underloved and underused for many years it has sat, the wood settling and strings straining, slowly slipping out of tune. Each string, when plucked now, has picked up new unwelcome tones, frequencies at which the vibrations chime together inharmoniously. The patterns of air moving over the resonating gaping maw of the body fight against each other, giving an ugly twang in the place of a single clean note. Each string has a natural frequency, dictated by its material and tension. If you introduce another note, some ugly and complex combination of the existing tones, the sound clashes and wanes. Stars too vibrate. Stars too have natural frequencies. Stars make no sound, as the vibrations have no way to move through the vacuum of space. But the layers still move in and out, material compressing and contracting, gravity and pressure fighting against each in a state of regular, repeated flux. Each vibration in a star could, by only a small leap of the imagination, be described by a musical note. In a star many notes are excited by turbulence, the irregular churning of hot and cold material constantly redistributing. But some can be excited by other means. A planet, if sufficiently large and close to the star, can play a note. In fact, a careful accounting says that it can play two. Both of these we can see in the light coming from the system, which is too small and too far to appear as anything but a point of light, whose brightening and dimming belies the presence and properties of the planet. 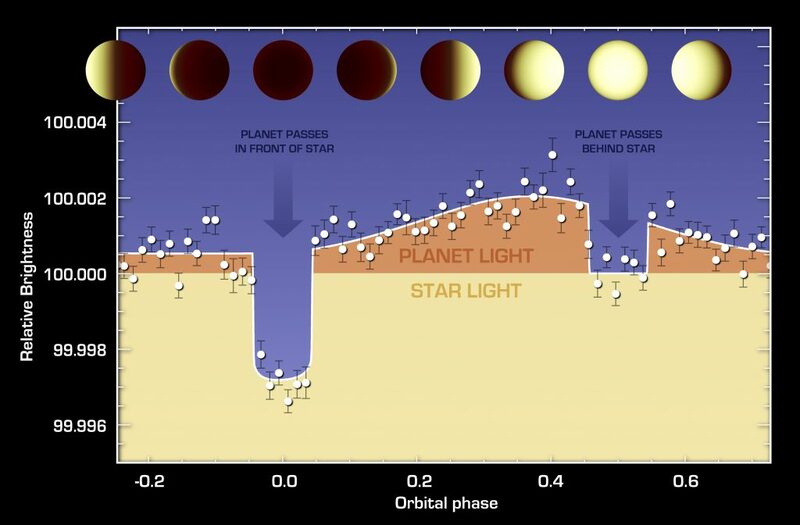 The first note the planet plays is mostly due to the light reflected off the planet’s surface: bright when it is on the far side of the star, and much of the star’s light bounces directly towards us, and dim when it sits between us and the star, so little or no reflected light reaches us. Thus, once per orbit, the system brightens and dims, the change in the light has the same frequency as the planet’s orbit. The second note has twice this frequency. It’s caused by the tidal effect of the planet, pulling the star into a distorted lemon shape, with bulges pointing towards and away from the planet. As the planet orbits the lemon appears to turn, and the shape of the star, projected on the sky, changes; going from large and bright to small and dim. Two effects, two notes and a simple melody which can be used to find and understand stars and their planets. 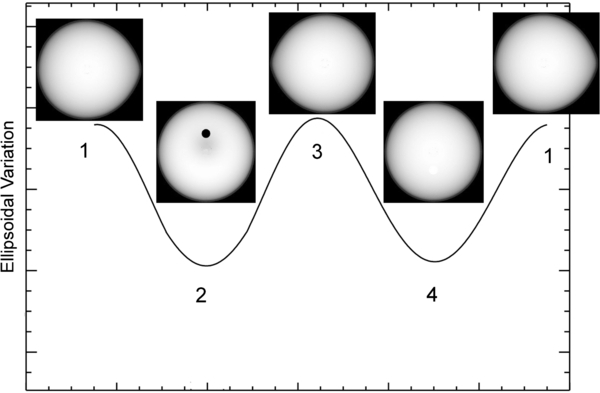 We can take the light from stars, such as those observed by Kepler, which searched for new extrasolar planets, and pick whether the modulations in their light follow this simple periodic pattern. And patterns they do follow—but not those which we would anticipate. We see the notes we expect, at the planet’s frequency and twice that, but we also see modulations at 3, 4 and 5 times that frequency. No effect previously known explains this. In a study of 19 systems, almost all (16 of them) show this signal. Something is causing these stars to vibrate at unexpected frequencies, inharmonious with our current understanding of stars and planets. Something new and altogether unexplained is happening. A follow up to this paper appears here: http://adsabs.harvard.edu/cgi-bin/bib_query?arXiv:1611.05925. 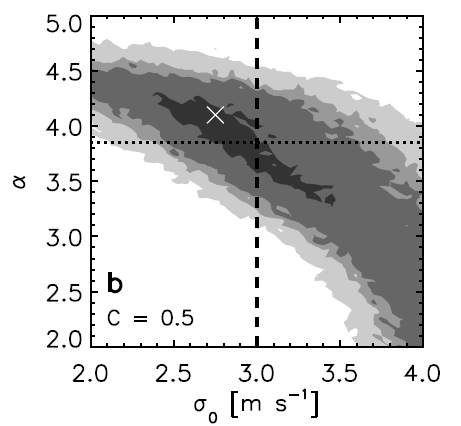 The important quote from the second paper’s abstract is “we find that previous claims of large-amplitude odd modes in Kepler photometry are artefacts of removing planetary transits rather than modelling them”, but the detection of odd harmonics is still significant for a few systems.